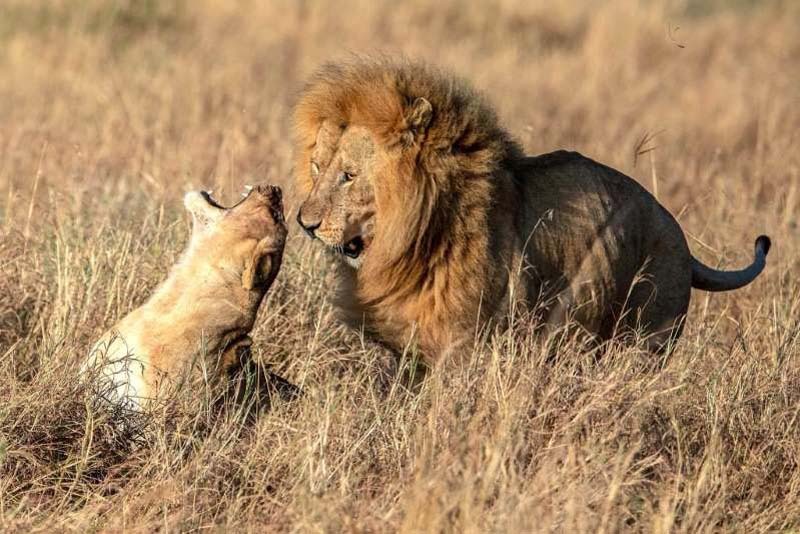 A series of photographs have emerged showing a proud lioness telling off her sheepish other half after a mating session. 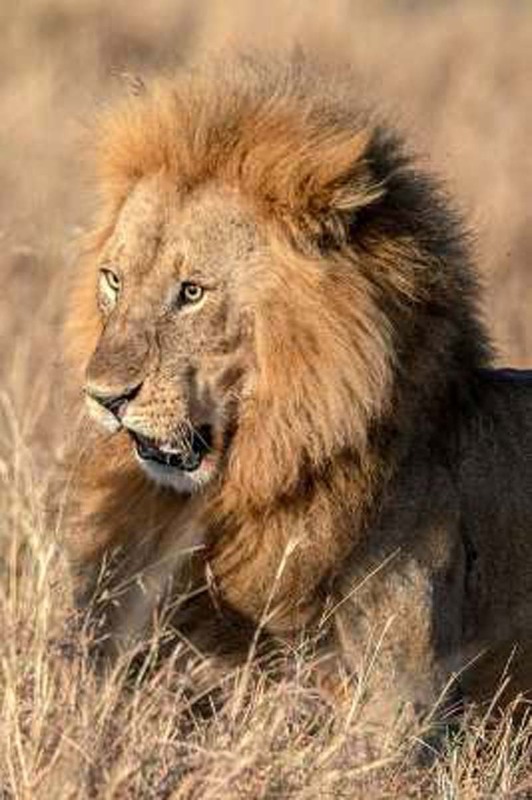 Shayne McGuire was visiting Massai Mara, in Kenya, when she spotted the two lions mating. 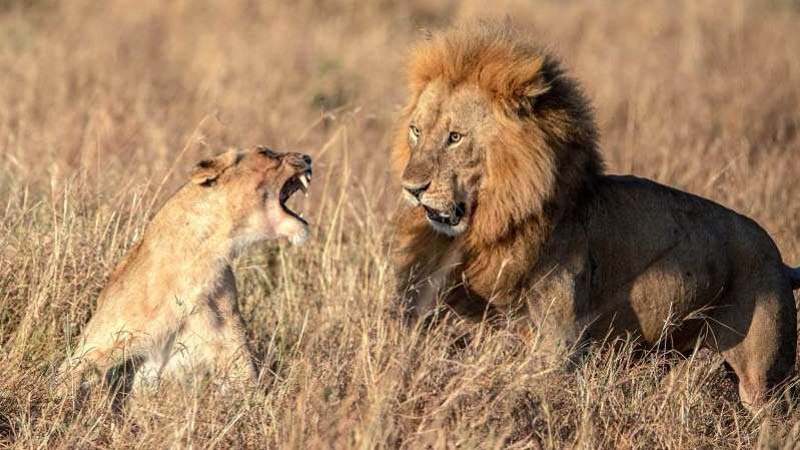 However she was shocked when after they had finished, the lioness proceeded to screech at the male, to which he cowered away in fear. Shayne, from San Dimas, California, said: “The lioness presented herself to him, which usually ensues a quick copulation. “The male completed his act, and this was his reaction at the ‘ending’. 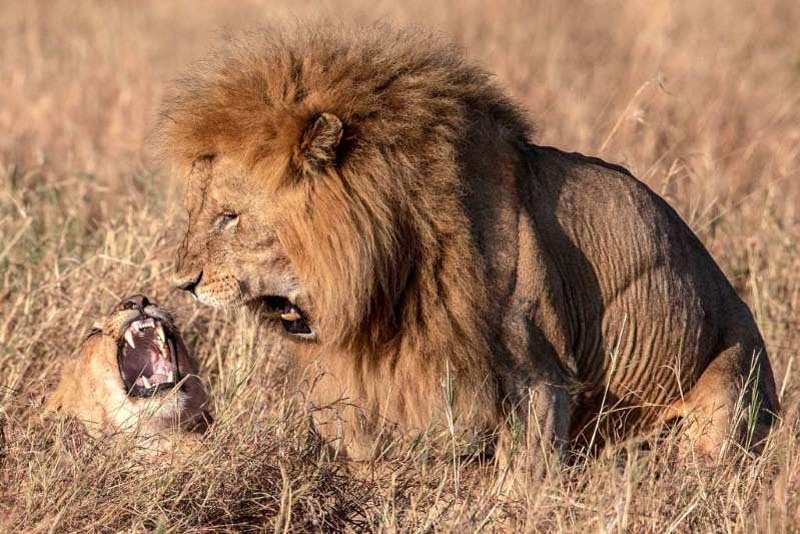 “His face was priceless – after the copulation takes place, that is the normal reaction of the female, but the male usually roars back. “She settled down right away! “Cats have barbed penises – so when they are mating, the female experiences pain when he withdraws, but the pain in turn stimulates ovulation in the female. “When she feels the pain, she instinctively turns around and growls at the male, and at the same time tries to scratch him.